New Betulia trees. New Betulia varieties. 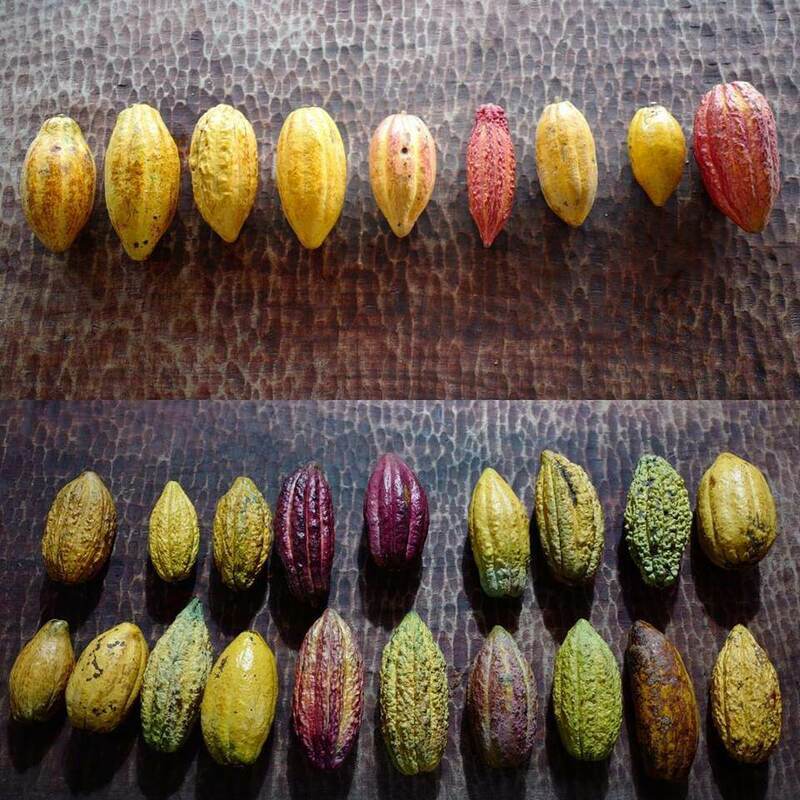 These are the pods of new potential trees, from which we plan to select future Cacao Betulia varieties. We ´ve selected potential candidates with the great help and intuition of Zoi from ZOTO. 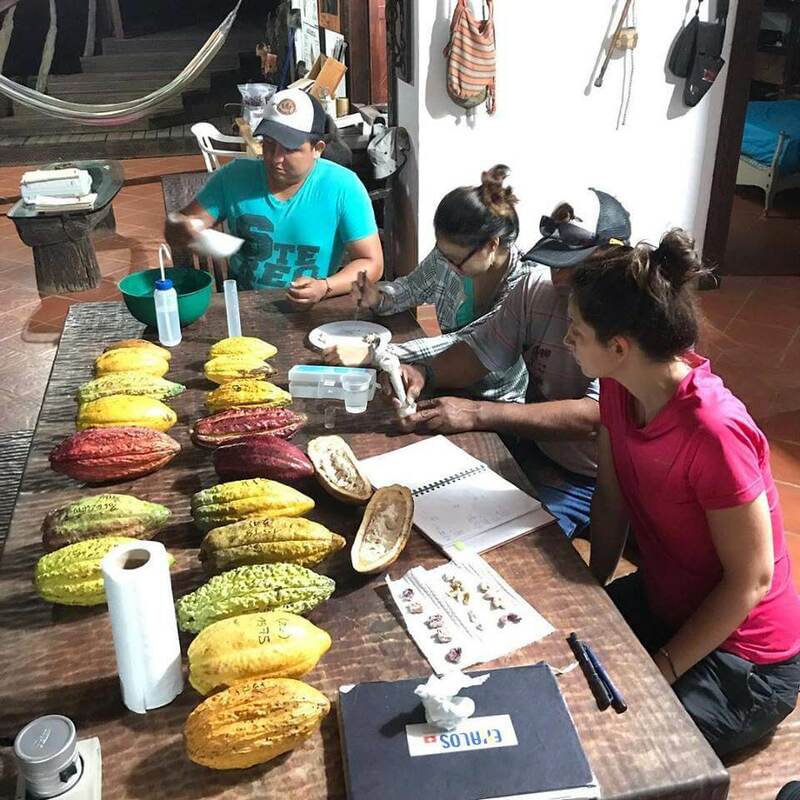 Part of the selection process was to test the pulp for aromas, PH-values (outside & inside the bean) and perform a DNA test to obtain the genetics. The other part is difficult to explain, it was pure Zoi intuition. The pods were selected from the 1000 original trees we have found at Hacienda Betulia, from which also we made the selection of our champions B6, B8 & B9. Stay tuned for the progress on the new “BZ’s” which will come out of this interesting work done with Zoi. Yes BZ … Betulia-Zoi selection. Thanks a lot to Zoi! 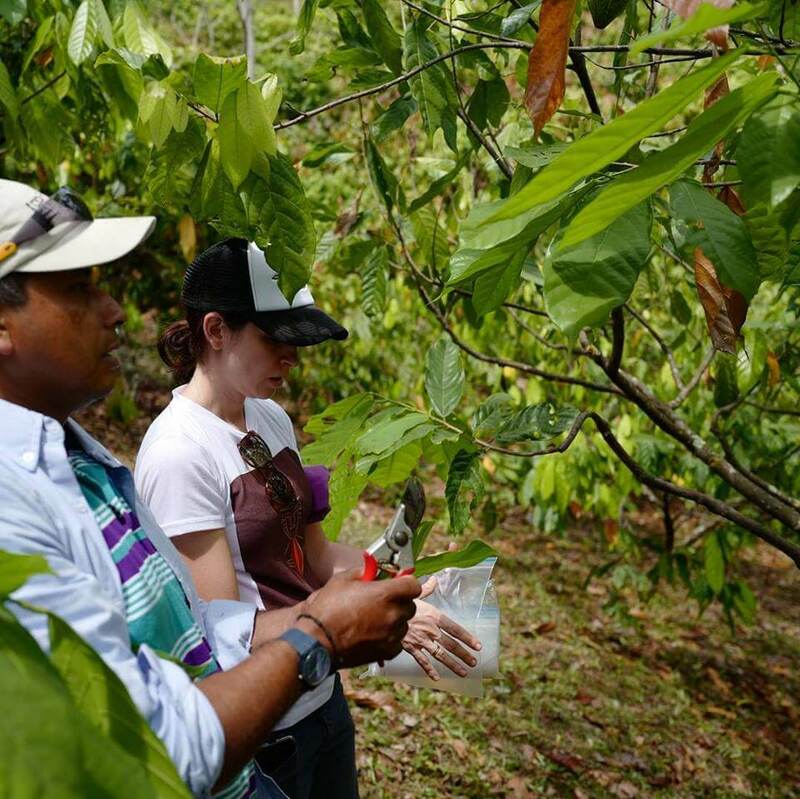 Selecting candidates from the original Betulia trees.